British manufacturer Ophidian will be exhibiting the new P-series Evolution loudspeakers including the P1 standmount (£2,200) and P2 floorstander (£3,500). 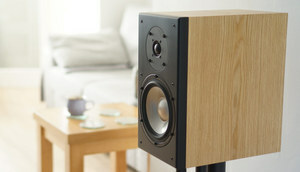 The new speakers feature a custom made aluminium mid-bass driver with a large magnet for outstanding transient response. Rigid front baffles are decoupled with a flexible gasket reducing the transmission of drive unit vibration directly into the main cabinet, which is constructed from plywood for improved damping properties. The unique Aeroflex bass loading system allows the P-series Evolution to provide a truly dynamic performance at both low and high volume levels.